Hey folks! Chris Allen here; today, I’m bringing with me a bit of bonus content originally cut from The Pack, the first supplement for Werewolf: The Forsaken 2nd Edition. When we were developing how Lodges would work in 2nd Edition, one of the core concepts I wanted to push was the idea that Lodges are cults. They’re weird groups of weird people doing weird things; they’re transgressive because those transgressions bond the adherents together and often give real power, and they’re secretive because they don’t want outsiders to know about those transgressions. They practice odd traditions and perform strange acts to strengthen the mystic power of the Lodge and its totem. In order to really demonstrate this in practice, I wrote up a set of “Mysteries” for each of the sample Lodges in the book. These were going to replace the story hooks — indeed, you’ll see where some of the story hooks were repurposed for the Mysteries format — and serve as a direct presentation of the ways each particular Lodge was blasphemous, transgressive, tight-knit, or just plain odd. In the end, we kept with the story hooks format that was published due to a lack of time to insert the new Mysteries approach, but I kept the cut material and I’m glad to now be able to share it with you. Ultimately, Lodge Mysteries best represent my vision for how to get across the nature of each of these Lodges, detailing the practices and mystic secrets that fuel rumors and suspicion among the uninitiated. The cult rejects the second tenet of the Oath of the Moon, the People do not murder the People. The Lodge believes the tenet is false doctrine spread and encouraged by a corrupt faction among the Lunes. Garm has bestowed the adherents with true wisdom — killing other Uratha can be righteous. Garmir harvest slain Pure elders to make grisly trophies. The cult believes these steal the power the Pure Firstborn have invested in their Anshega champions. On the first hunter’s moon of the year, cultists gather and offer a tithe of such trophies to the sand-fleshed wolf spirits that serve Garm. Garm demands captive Pure elders are also offered up as sacrifices, usually by being burnt alive. Fierce wolves and dogs guard cult property or accompany Lodge warriors. The cult feeds the flesh of fallen Pure enemies to the beasts in the belief that the canines thus steal the Anshega totems’ strength. When the animals perish, the Lodge consumes the bodies in bloody ceremonies. To repay loyal spirits of strife or destruction, Garm orders Lodge cells to stir up conflict amongst mortal communities. His wolf-servants of sand and hieroglyphs judge disobedient cultists harshly, but sometimes gift successful cells with fetish weapons wrought from wolf-teeth and bronze. The Lodge guards two secret forms of the written First Tongue, one a runic script and the other in hieroglyphs. The cult believes the runes and glyphs hold special power over wolf spirits and Uratha ancestor spirits. Garmir uses these sacred scripts to call and bind ancestral spirits of their enemies, denying the Pure their allies. Trapped spirits undergo terrible torments and inquisitions by the God-Killer’s brood. Humanity owes the roads a debt; the spirit courts are eager to collect in blood on the asphalt. The Steel Teeth fight that ravenous appetite, chaining the road spirits with pacts to enforce restraint. They let the spirits collect only a small tithe of lives through accidents and deaths. The spirits cause accidents as part of the tithe. When a driver survives through sheer luck or supernatural intervention, it weakens the pacts. The Smoke Drinker reaches through car radios and the pattern of raindrops on windscreens to its adherents when this happens, setting them on the hunt of the hapless survivors — and any entities responsible for causing the upset. A gear dog who dies well on the high-speed hunt, perishing amidst hurtling metal and spraying gasoline and the scream of air rushing past, is her own offering to the road courts — forcing them to accept her blood in place of a thousand human lives. When the phases of the moon and the stock market prices of the big car manufacturers align, it is time for the sacred Hecatomb. In these wild celebrations, one hundred cars must burn in a grand sacrifice to the Smoke Drinker — a night of thievery and high-speed chases as the Steel Teeth compete for the finest rides they can steal. Cultists perform the iziga to repent after sinning through breaking Oath or ban or whatever minor traffic law the totem has declared sacrosanct. In this fiery ritual, adherents paint sigils of repentance on their flesh in oil or gasoline then set them alight, searing the sin away. The guhkharraan is a holy pilgrimage of roads. A cultist seeking revelation or spiritual harmony begins with naught but the clothes on her back, eats only what she can glean from the roadside and listens to the oracular whispers of the spirits of road and fume. Some find hallucinatory revelation at the end of their journeys. All banshees practice the kilisu-zithu, the ritual girding before the sacred hunt. The adherent wears terrifying trophies taken from her own kills; the bloodier and messier and the more screaming there was, the richer the resonance of fear. The Tyrant’s allied spirits pay honor to cultists with the most terrifying kilisu-zithu. The Lodge sometimes kidnaps humans who possess second sight or psychic powers. The cult subjects such a hapless victim to endless terrors and maddening torments, aiming to drive him insane. Adherents believe this strengthens and purifies the prophetic power of such a lunatic visionary, and it links the victim to other such madmen held by the banshees across the world. Several times a year, adherents secretly gather beneath the new moon. They share their darkest and most important secrets and perform the ihinudu iduth. In this ceremony, an Ithaeur and Cahalith each have an eye put out, which they crush and then smear the gory result on the eyelids of the other cultists. This sacrifice conceals the Lodge totem’s nature as a Lune from those who would pry, unleashing madness or blinding infections on fools delving into the cult’s secrets. Banshees collect the paraphernalia and remains of famous human murderers and serial killers. The Lodge builds eldritch shrines with these morbid relics, not in praise but as lures for copycats, full-fledged slashers and even stranger horrors all drawn to the shrines like iron filings to a lodestone. This provides fresh prey for cultists, and also creates potent resonance to feed the spiritual vassals of the Tyrant Over Fear. The Lodge totem can see out of any white mask that an adherent wears, if it chooses to pay attention to that Uratha and the cultist has not broken the Lodge ban in the last year. During the gibbous moon, the Tyrant can do far more than that — it can use its spiritual powers through such a mask or even manifest part or all of its body, although this takes a heavy toll on the Lune. The Thebans possess several omphalos stones — fragments of carved stone pulsing with spiritual power. The cult believes these are from a major manifestation of Apollo in the distant past. Lodge elders have tried to tap into these stones to become an avatar of the Sun Wolf, but every elder who has thus far tried has perished. The Temple of Apollo murders humans for oracular purposes as well as to feed the Sun Wolf. 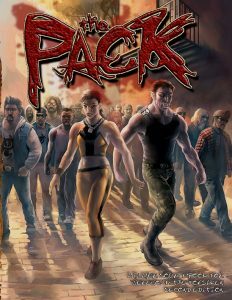 The pack uses simple auguries to select victims, who they abduct and drug with a concoction of poisons and Essence. The dying victim falls to hallucination and gibbers glossolalia, which the Thebans interpret. This ceremony serves as an extremely powerful form of the Read the World’s Loom Facet from the Insight Gift, although it takes at least an hour to decipher the ravings. Spirits of the hyacinth plant are either close allies or rabid foes of the Temple. Thebans anoint human sacrifices with extracts of the plant as it has the favor of the Sun Wolf. Furthermore, anointing the animated dead with hyacinth allows Thebans to vomit a blazing soul out of their Lodge bond in a reverse of the sacred hunt, turning the undead into a Ridden bound to a twisted, distorted helion spirit. Over the years, the Shadow of the temples slowly develops and deepens. Repeated Apollonian ceremonies and rites reinforce the Hisil, imbuing it with resonance of the sun. The oldest temples have sizeable Places-That-Aren’t, strange sunlit structures of mirrors and marble. Meetings of the Culte de la Raison are often debauched and orgiastic, but the Temple carefully manages these evenings of vice to feed various allied spirits of vices and pleasure. The Temple also holds Lyceum meetings, when Culte members judged to have the greatest occult aptitude join an “inner circle” — the pack — and learn to participate in rites. The Masters of the Culte are all loyal Claimed, picked from the inner circle and subjected to ecstatic ceremonies to prepare them as vessels. The Eaters of the Dead keep several old spirits of hunger sealed away. Ritual feasts of gluttonous consumption occur at times and dates suited to the nature of each spirit, usually banquets of putrid meat and stale cast-offs. The Essence generated keeps the spirits in quiescent slumber. Some Lodge hunters exsanguinate their undead prey, decanting the stolen blood from fanged corpses or ravenous monstrosities. Hidden temples to Ravening Wolf have galleries of clotted gore. Through smell and taste, the Ki Anagh learn many secrets of the unquiet dead. The Eaters are mapping bloodlines and ‘families’ amongst the dead, revealing fresh mysteries to investigate. There is a schism in the ranks of the Lodge. Some Eaters favor close ties to the Lodge of Death; Chinese emissaries of the Lodge are offering alliance. Other cultists flock to a different banner — the Tesfurfarrahu, or Devourers. The Devourers are a small cabal claiming to have proof of an old, powerful pact that bound Isim-Ur, though she does not remember this. Devourer doctrine states there are other dead children of Mother Wolf that the Lodge must discover and devour as a holy duty, just like with Ravening Wolf. Ravening Wolf is powerful and very much present; she runs among her new followers on hunts through the Shadow. She is looking for a mate among her adherents, a werewolf with enough primal power to survive her affections and begin a new spiritual family. Suitors court the totem with trophies and rotting carrion from their kills. At Ravening Wolf’s command, the Lodge takes young orphans and conducts strange ceremonies over them, even going so far as to kidnap them from state custody briefly. In these cult rituals, the children are fed a drip of Isim-Ur’s blood or a fleck of her spirit-flesh. The totem promises that one day, when this crop of orphans comes of age, they will be powerful Wolf-Blooded fated for great things. OMG this is so awesome thank you. Exceptionally well timed; I wanted to throw some players in a Chronicle off with weird werewolves and these will make exceptional hooks. How I would love to see a whole tribe book with sections like these for each of the tribal pillars. Thanks for giving us this treat. You may be in luck – I’m considering doing something like that for the Storyteller’s Vault!